As members of our great Club, one thing we can all say that we have in common is that we remember the day when we were Inducted as a new member into our Club. I was fortunate to be Inducted during an “off site” Friday meeting at our Columbus Zoo. You can be assured that even after 15 years of being a member I can recall that day very well. Communicating with new members so that they feel welcome to our Club and engage in Fellowship events outside Friday meetings to meet members of our Club. 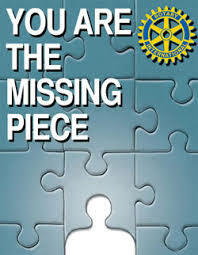 What can we do to ensure we are exhibiting behaviors to make Rotary workable in today’s world. Communicate with perspective Members of our Club to provide them accurate and up to date information about joining our Club. Enhance the value of coming to a Friday meeting and a Member’s engagement to our Club. The time commitment will be very minimal – possibly 1 hour per month. If you are interested please give me a call or send me an email to pwbgcush@gmail.com. I would be happy to share additional ideas and thoughts.